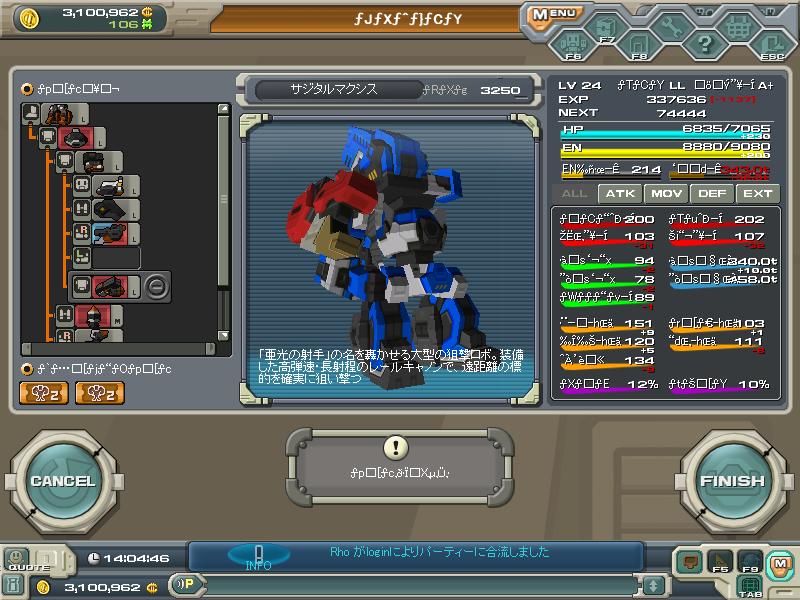 except, whenever your customizing your robo, you can now see the stat changes. *_*...At least it's something useful. Oh yea a side question being trying to ask. What advantage/disadvantage exist for different size? like s size vs l size etc, because I don't really get what the wiki explained. Other then the fact that some areas/mission only allows certain size and above/below. YEAH, THIS IS REALLY USEFUL!!!!!! Each size has little things included very deep in stats. S: Easier to maximize part weapons' force, maybe ENre is also faster. M: Just balance, that's all imo.